We've survived another month! Charlotte has her two month checkup this afternoon, so I will update her weight and length later. 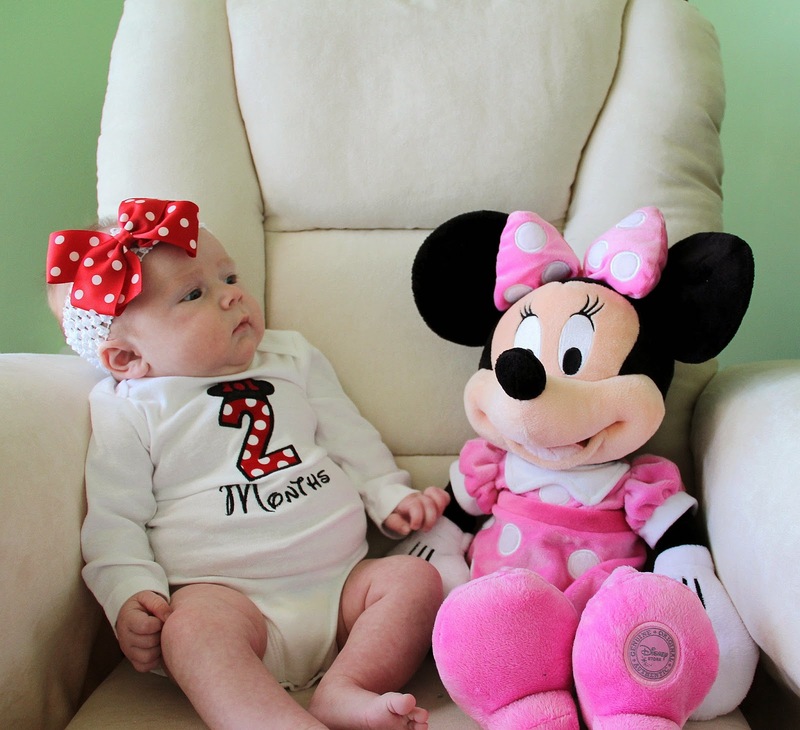 In the mean time, here are her pictures from yesterday's two month photo shoot. I couldn't capture a good smile, but she was quite content with everything. Eating - Charlie LOVES to eat! 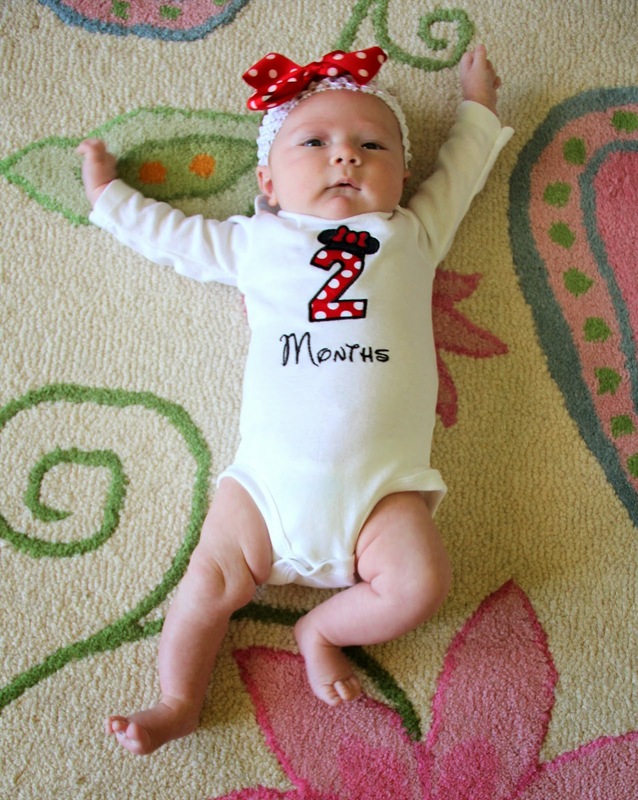 Since last month, we've bumped up her feedings from 3oz to 4oz every 3 hours. She seems to do well with that amount, but I have a feeling we will be going to 5oz sooner than later. Sleeping - Charlotte has really started becoming very alert during the day. She takes little cat naps when we are at home, but if we go out, she sleeps the whole time. Sometimes I take her out just to get her to sleep some. When she's awake she's generally a happy baby so I really can't complain. At night, she will often eat at 9 and then sleep until 2 or 3 in the morning which is nice. But I would really like for her to sleep those six hours after eating at midnight so she can sleep through the night. Last night she did just that; ate at 11:30pm and didn't wake up again until 6am! Let's see if we can keep that up! Generally when she wakes up in the middle of the night it's very easy. A quick diaper change and a bottle and she goes right back down. 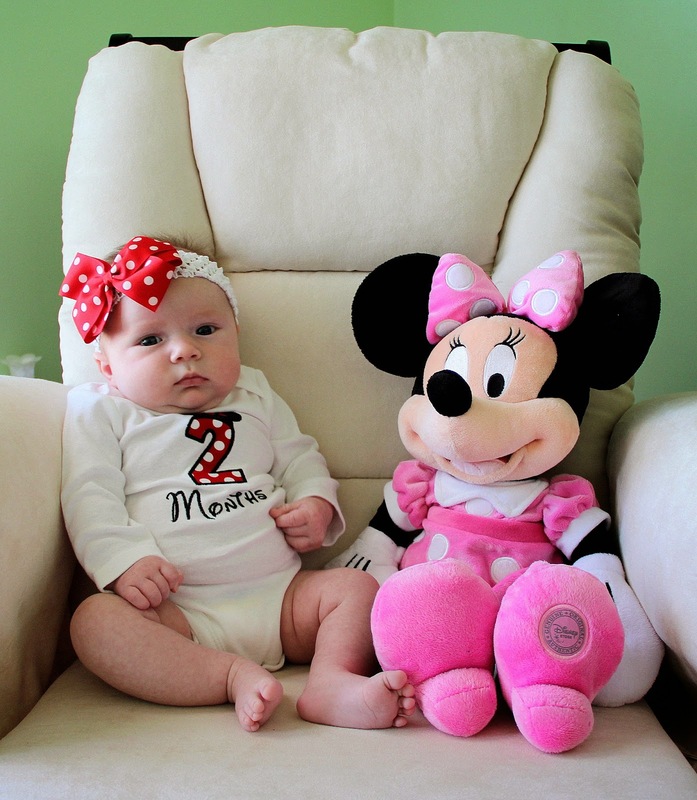 Just like last month, she seems unsure of Minnie sitting next to her. I love that i got the same picture a month later! I'm going to see how many months I can get her to do this. Likes and Dislikes - As I said before, Charlotte is a very good baby. We have a few hours in the evening that she's fussy, but other than that she's happy. She loves hanging out in her boppy, but still does not like laying flat in her crib just yet. Her favorite game is peek-a-boo. Dirty diapers make her angry, but once you take it off, she's happy again. Tummy time is fun for a few minutes until she spits up and lays her face in it. Charlie loves being talked to and will smile real big when you get close. 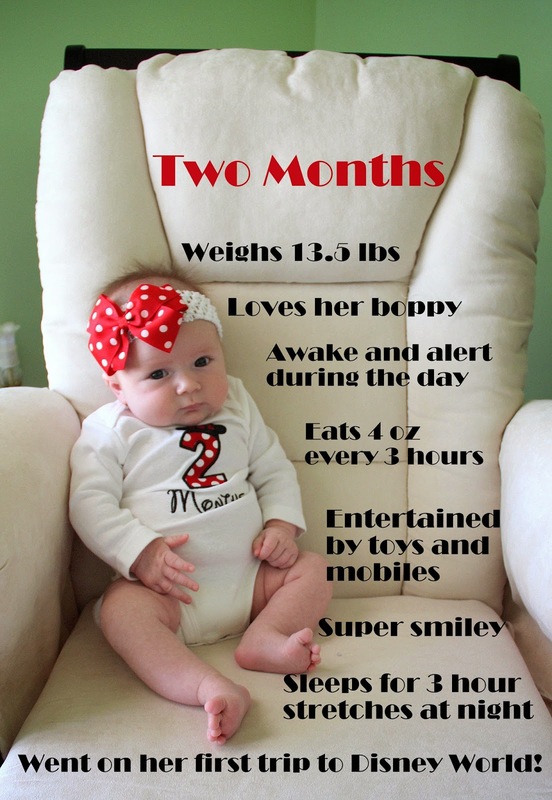 That about sums up her two month update! Wish us luck as we get her vaccinations this afternoon. I have a feeling it will be harder on me than her. Can't wait to keep sharing these updates with you! Ahh she is adorable!!! I wish i did this with my little girl!